Yesterday I listened to a 30 minute telecast from one of the local hospitals. It was discouraging to watch and listen, as the conversation was neglect of what needs to be shared. The main focus was to discuss how worried one should be about tick-borne diseases and how to prevent tick bites. I was interested in listening; as I was hopeful that possibly the hospital might have gained a new perspective and understanding of the disease. And yet, what was shared was extremely limited and not fully transparent. People are looking for answers for their symptoms. When tests come back time and time again that “you are fine”, while brushing you off until your next persistent push to find an answer. Recommendations to see specialists, such as neurologists, rheumatologists, pulmonary and heart specialists, that you become tired of becoming the victim of “nothing is wrong” when you know without a doubt there is something brewing within your body. For myself, it was to the point where I literally felt as though I was being eaten from the inside out. Internally it felt like bugs were crawling within me without the ability to physically remove (kill) them. I was dizzy and had to stop walking outdoors, had forgetful moments NOT related to aging, brain fog where I simply struggled in finding the right words, pain throughout my joints and muscles, tremors, increased anxiety, increased blood pressure, lack of desire, ambition and strength, chronic fatigue, etc. The list was endless. My primary physician started to push Fibromyalgia, which I shared that it was not “in my head” or related to past trauma. This was real. I had MRI’s and x-rays confirming that I had arthritis and some Orthopaedic issues. My Orthopedist also confirmed that it was NOT fibromyalgia. Then off to the Neurologist, due to a brain scan showing signs of MS, but unless I chose the spinal fluid test, they would not know for certain. This was something I had refused because I have back issues and had recently undergone back surgery for sciatic pain that was extremely disabling. I finally gave up until I met with my specialist for another purpose, and as I shared a few of the symptoms I was struggling with in relation to my purpose there, he started to review the multiple tests that I had gone through. He then asked me to keep talking while sharing what I had become tired of sharing. I asked him “why”, as I had pretty much given up and believed that it was no longer worth the struggle in sharing what I was going through. It was easier to accept that my body was dying and I was making plans to simply accept that fate. My husband and I went home with something to think about. I researched a little about Lyme disease, read some literature he gave me, and I perked up with encouragement, sharing with my husband that Dr. D. could be right. Now, I’m not one to look for an ailment, just answers, so that I can make changes to improve if necessary. But what I read was eye opening. Despite the pinch in our resources, we were fortunately blessed with the funds, to have the $200 test done. There was a part of me that expected that the results would come back “normal”, a part of me that really wanted it to come back normal, but my hope was that I would have an answer. It wasn’t even two weeks when I heard back from my physician sharing that I was positive and needed to see me back in his office as soon as he had an opening to fit me in, which I was fortunate in that I was able to acquire an appointment two weeks later. In the meantime, he gave me more resources to read, so I was at the library acquiring the books he recommended. That was 2 ½ years ago, with a diagnosis at that time of at least 8 years of having the disease, and going untreated. Treatment is a roller coaster ride of getting better then feeling worse, then returning to feeling somewhat better again. 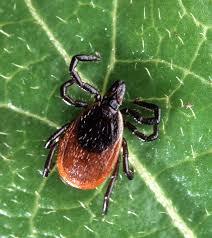 The reason the online telecast was discouraging, is that they avoided the topic of the real danger Lyme disease. They stated that it could be healed, which it cannot, although it can go into remission. Most patients, even if they say they are healed, they are on an ongoing treatment of antibiotics, antibiotics and herbals, herbals and tinctures, essential oils, diet, or other option that allows them to function. Let’s be real; if you are healed, you no longer need an ongoing treatment plan to keep symptoms at bay. With Lyme disease, once you are back to a “normal” life, you still run the risk of symptoms returning. Think of Chickenpox. You acquire the disease as a child, yet that virus remains in your body and can come back as Shingles. With Lyme, we are talking about a bacteria that has co-infections and screw-type bacteria (spirochetes) type bugs that find places to bore themselves into, hiding away while at the same time multiplying. The Infectious Disease specialist called it Post-treatment Lyme; where you deal with symptoms after initial treatment, yet do not have the disease. What is the answer to the patient who has suffered with Lyme disease for years, before they are appropriately tested and finally considered infected? This is NOT post-treatment. I was diagnosed with Chronic Persistent Lyme disease, with test results that fell within the CDC guidelines. “Post-treatment” they claim is the residual recurrence and long lasting “symptoms” but not the disease. What was interesting is that she shared that you will always test positive for Lyme after your initial diagnosis and treatment but you will not have Lyme disease again. REALLY? So, a cancer patient has tests proving they have cancer, obtain treatment to which they heal and go into remission. They are considered cancer free. Until the CDC “says” something is real, it is not real in the eyes of physician acceptance with treatment. Yet even with the CDC levels showing a positive test result, my PCP continually denied/denies that I have this disease. Only those who research and study, with a desire to treat their patients based on believing what they are told, while providing them a test to aid in their treatment plan, will be the leaders in helping Lyme patients heal. Unfortunately, this results in very few specialists (in this case LLMD’s – Lyme Literate Medical Doctors), who are willing to treat a population that is steadily growing with very sick people. My next blog post I will share the topic of prevention and what one can do. The telecast did share some tips, but there are more to which I believe might prove to be resourceful. Be careful of the crawlies…they are everywhere and when you least expect it, you could have a hitch-hiker looking for a place to nestle and bore into. WAKE up! Lyme disease is real! It is here and does NOT discriminate! Would love to have you consider following. Please enter your email to subscribe to receive notifications of new updated posts by email.